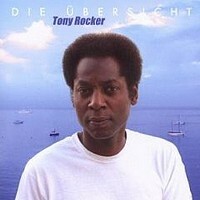 Tony Rocker is from Chicago and I heard that he's quite known... So, let's check what my favorite search engine Google will find about him. I learnt that Tony Rocker had learnt to play several instruments, then got a BA degree in Arts Entertainment Media Management from Columbia College, and a diploma in sound engineering. He played some shows abroad and worked as a roadie for some big names in California. On this album he got joined by guitarist Frank Staiger (co-songwriter), keyboarder Jörg Richter, drummer Benjamin Sakautzki and bassist Ingo Renne. The songs on his debut album are based in the rock of the 70's and 80's spiced up with a dash pop. Not that bad, but somehow Tony Rocker fails to bring the songs to life. A bit shallow and half-baked, the songs sound too familiar. And somehow it seems that Tony Rocker's voice isn't meant to rock... And you can hear that it's coming from deep inside. During the recording they should have kept an eye on this... For me the vocals are most important when it comes to this kind of music. Perhaps they manage next time... So I can just recommend to check out the album and make up your mind.